The expression 'When the gorse is out of bloom, kissing's out of fashion' insinuates that there's always a gorse bush in flower somewhere. 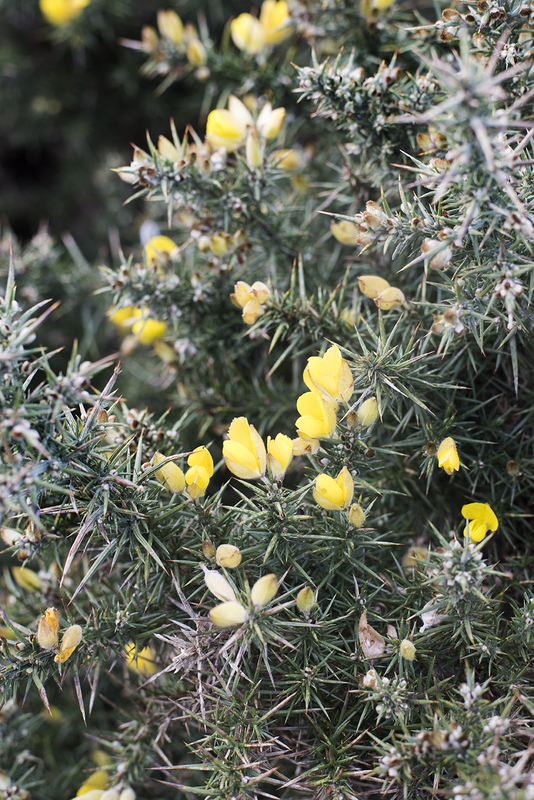 Although their main flowering season is from January - June, you can usually find a gorse flower, or two, all year round. It's early February and the headlands don't have much colour to them but peppered along the cliff edge are patches of bright yellow blooms, a somewhat surprising sight after the miserable weather we've had lately. Possibly more surprising than their vibrant appearance is the almost tropical vanilla and coconut aroma that wafts from the bushes and floods the whole coastal path. Today the air is crisp but the skies are blue and the tropical aroma gives the senses a taste of spring. In times gone past the presence of Gorse was a helpful tool for farmers to assess the usefulness of a particular land plot before they purchased it. 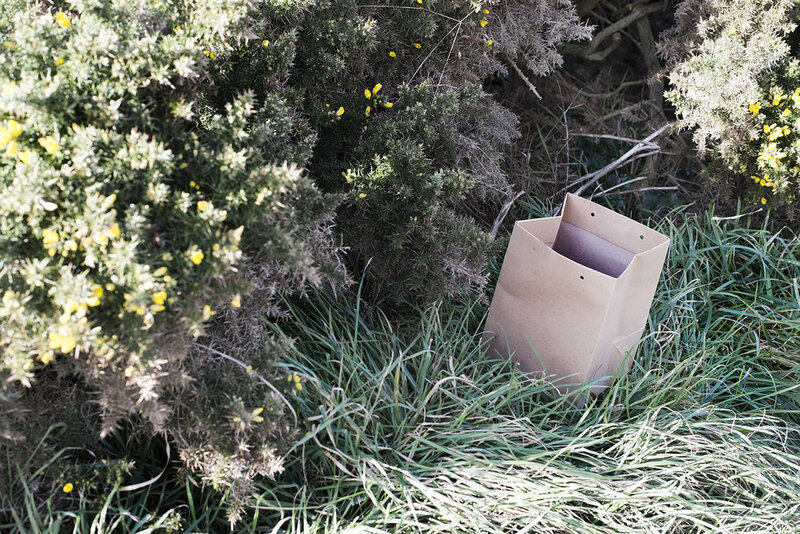 The old welsh proverb "Aur dan y rhedyn, Arian dan yr within, Newyn dan y drug" translates to "Gold under bracken, Silver under gorse, starvation under heather" and relates to the soil qualities found under these types of foliage. These days gorse is considered a nuisance that is hard to control. As a child being brought up on the north Wales coast, we would often see whole headlands ablaze in the summer holidays. Their oil rich wood easily catches fire in the dry summer months causing carnage for the emergency services and home owners of hill side cottages. 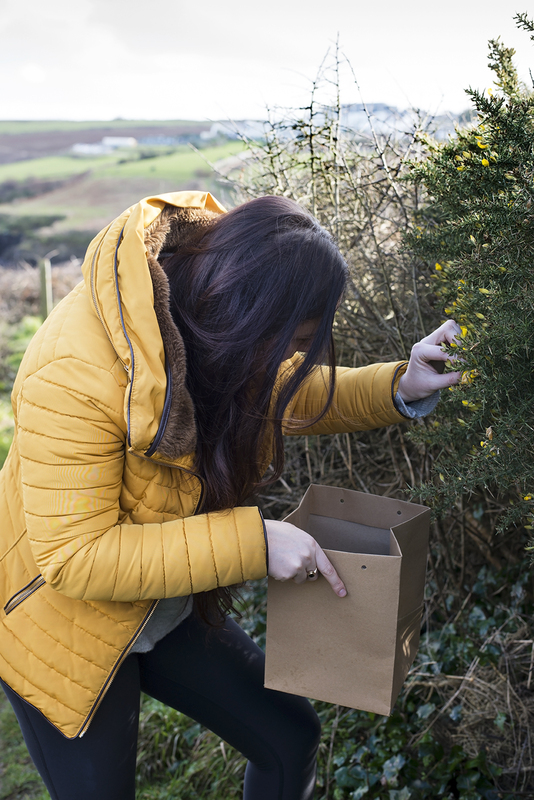 Despite gorse being considered a nuisance I've always been captivated by it's aroma and was wondering how I could capture it in some kind of culinary concoction. A little bit of research found that I'm not the first person to think of this and there are many recipes online for gorse flower wines, syrups, cordials and even ice cream. It was Leighs 35th Birthday this week and I wanted to make him a special cocktail to celebrate with. I decided to make a gorse flower cordial that could be used to flavour prosecco and found a few recipes online to follow. Being as disobedient as I am, I didn't follow the recipes all that well and ended up creating my own which tasted pretty good. If you wanted to give it a go yourself the instructions are below. 2. Add the zest of the oranges and juice of the lemon. Stir the mix and then add the flowers. 3. Leave the mix in the pan at room temperature overnight to brew and cool. 4. The following morning, drain the mix using a muslim cloth or something similar. Alcoholic: Add to prosecco instead of a fruit flavoured liquor such as Chambord or add to a gin and tonic such as Tarquins Navy Strength gin. 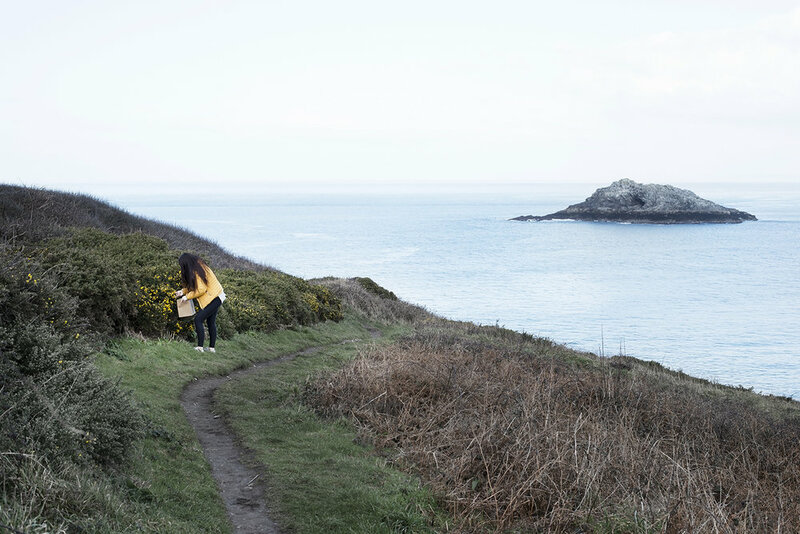 A big Thank you to instagrams @liviegrace (www.oliviagrace.photography) for the pictures of me collecting the flowers in Crantock earlier on this week. As you can probably tell, the recipes instructional photos were taken by me on iPhone. Let me know in the comments below if you've ever noticed the smell of gorse flower before and if you're going to give this recipe a go. I'd love to hear from you. We've sent you a confirmation link to your email address. If you can't find it check out your junk inbox.